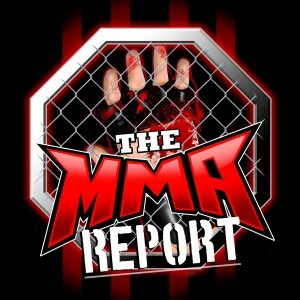 UFC 228 is in the books and find out what Jason Floyd and Daniel Galvan thought about the fight card on this week’s episode of The MMA Report Podcast. In addition to recapping UFC 228, Jason has interviews with Adam Borics, Eddie Cha, Pat Pytlik and Brendon Marotte. In the opening round of this week’s podcast, Jason and Daniel start by discussing Nicco Montaño withdrawing from UFC 228 due to weight management issues. 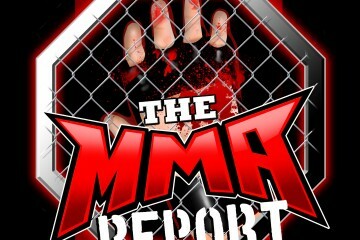 Find out if the guys side with Montaño or the UFC, plus they give their prediction on which fighter Valentina Shevchenko will face for the now vacant UFC women’s flyweight title. Then they get into the fights that took place at UFC 228 from Tyron Woodley’s dominating performance against Darron Till to retain the UFC welterweight title to the tremendous performance by Tatiana Suarez on the preliminary card. Up next, Jason speaks about Blair Tugman’s positive drug test last week. He explains how the Mohegan Tribe Department of Athletic Regulations requested a test after they approved his fight against Peter Barrett and how every fighter on the upcoming Bellator card in Connecticut should understand that there’s a high probably they will be drug tested leading up to the fight. Then they discuss Michael Chiesa filing a civil lawsuit against Conor McGregor and they wonder this question: Could this lead to Chiesa being released by the UFC. Following that discussion, it’s on to the interview portion of the show as you will hear Jason’s conversations with Adam Borics, Eddie Cha, Pat Pytlik and Brendon Marotte. Borics previews his fight next week at Bellator 205, Cha talks about his role as the head striking coach at The MMA Lab, Pytlik previews his welterweight title fight at Unified MMA 34 and Marotte previews his matchup at next week’s Combat Zone event. And in the final round of the podcast, it’s the weekly Buy/Sell segment and one of the questions involves the future of former UFC heavyweight champion Fabricio Werdum.